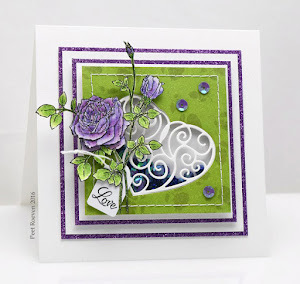 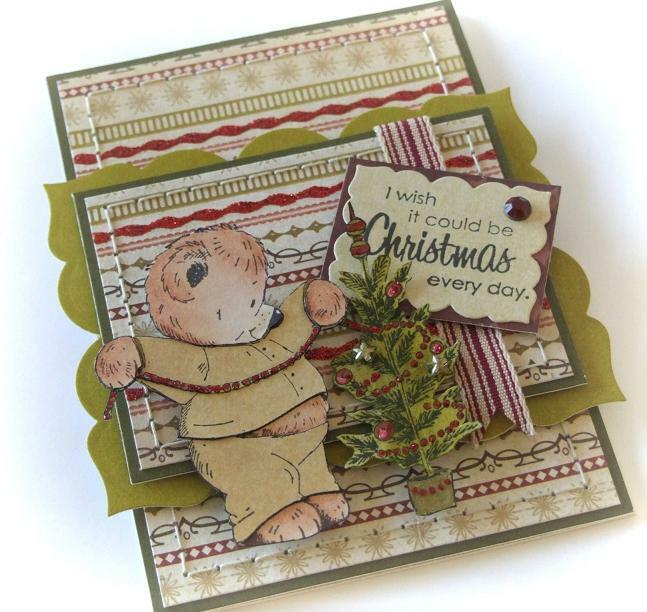 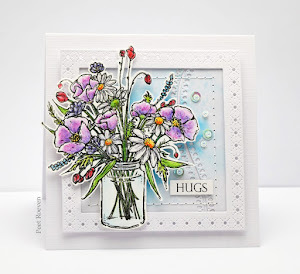 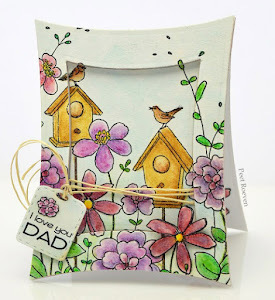 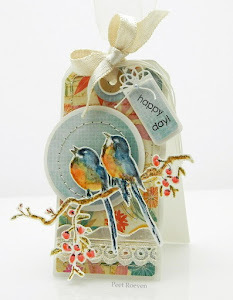 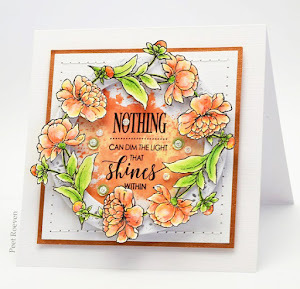 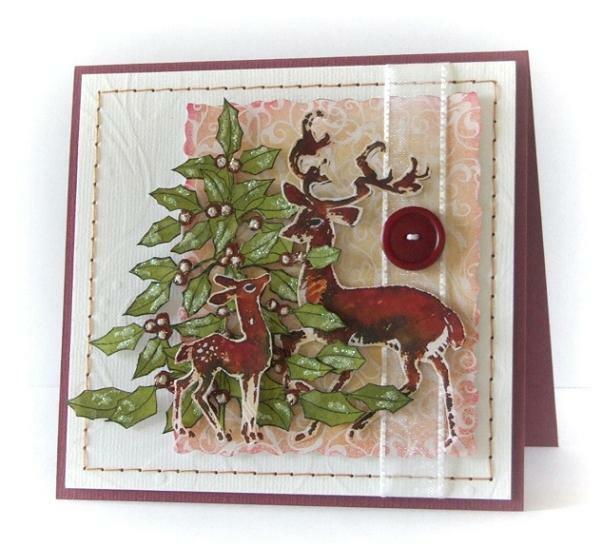 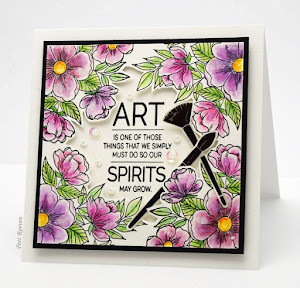 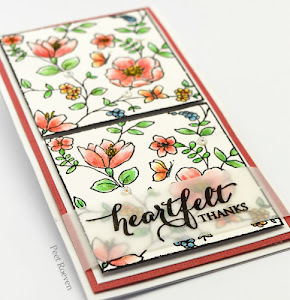 We're kicking off 2012 in style with a blog hop featuring artwork using Penny Black stamps and Flower Soft. 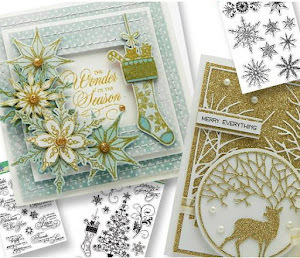 You'll be inspired by the Designers' creative projects as you hop along their blogs. 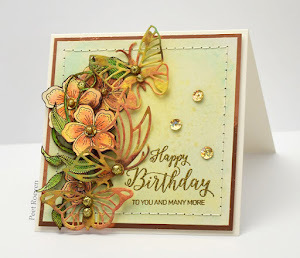 Join us for a weekend-long celebration that will include challenges and prizes! 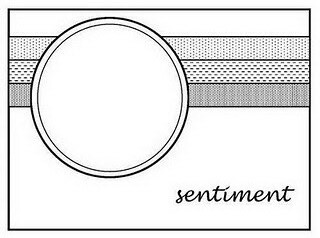 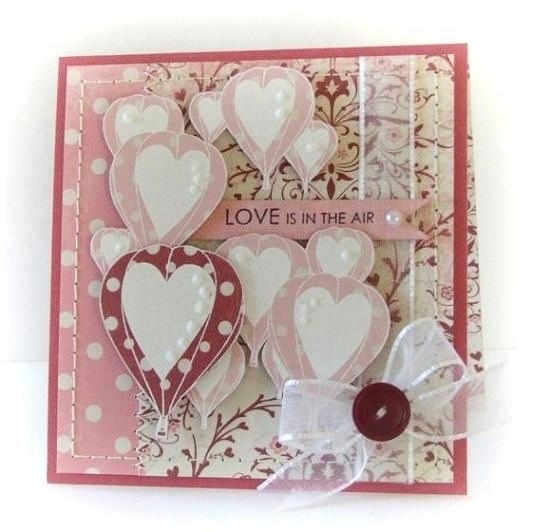 The image was embossed in white. 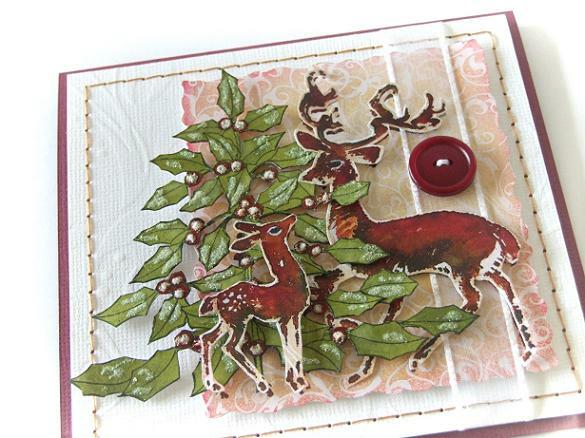 The little dots were done using stickles and glitter powder. 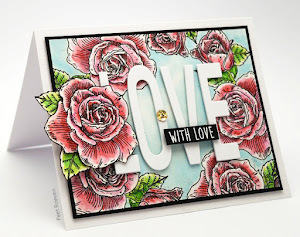 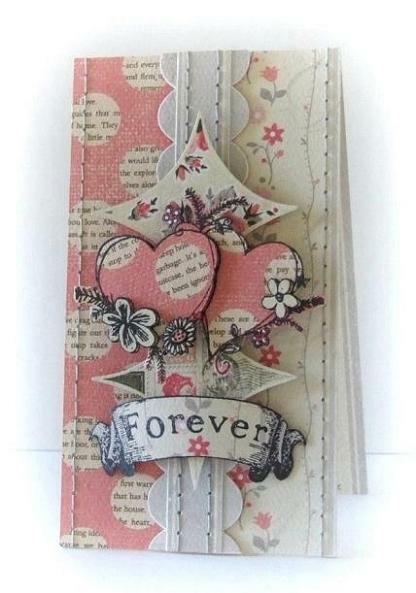 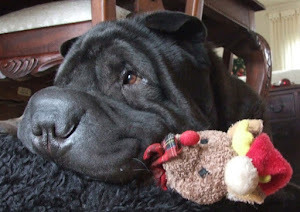 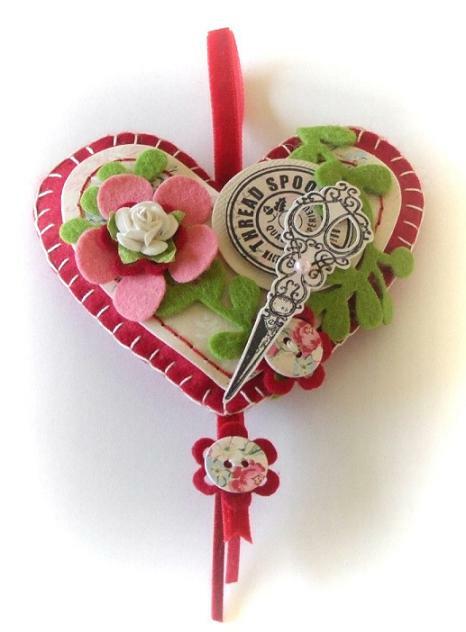 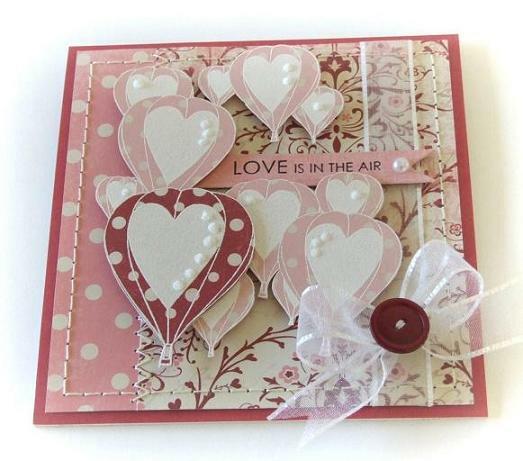 Have you seen the new 2012 Valentine Collection from Penny Black? 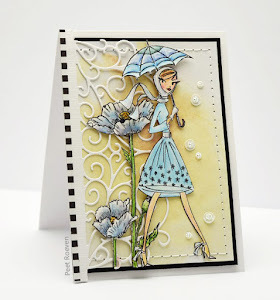 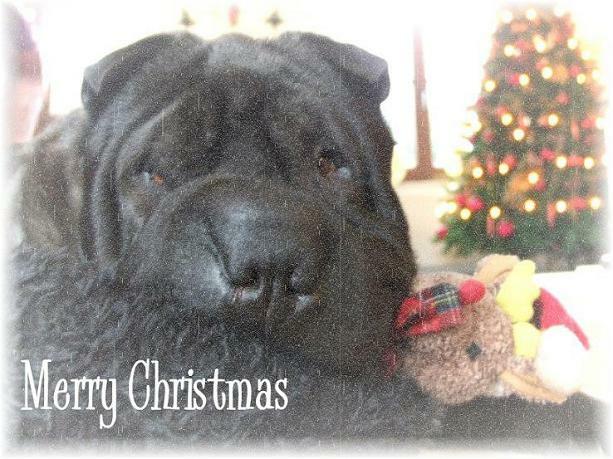 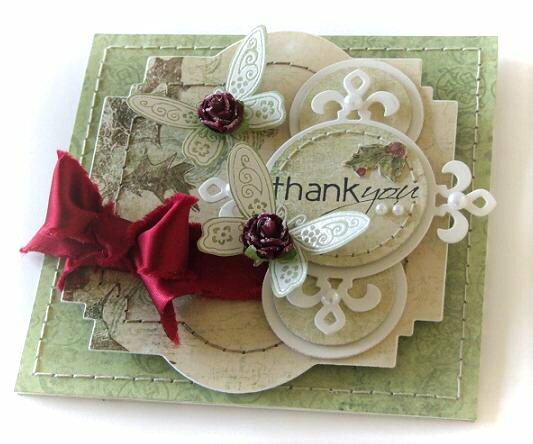 This card was made using an image from Raindrops & Kisses transparent set. 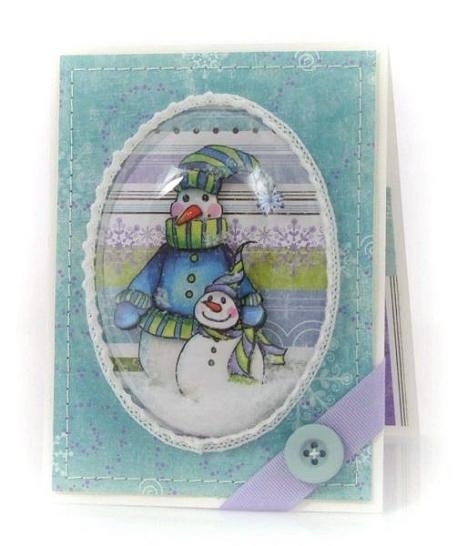 For this card was used, Blue Micro Dot Ribbon and a Diamante Pin.